People suffer from headaches, irritating infections, skin rashes, hay fever, deep fatigue, feelings of anxiety… I’ll stop at this point, I don’t want you getting depressed reading this. Cutting to the chase – if you are feeling ghastly day after day, like not having much energy, feeling tired, getting headaches, blocked up sinuses, and so on – you are likely, in fact I’d just about guarantee, to be needing a good clean out. 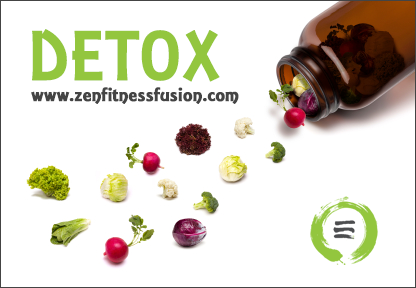 And this is what detoxification is – giving your body a much needed spring clean! As a qualified Naturopath I have access to a practitioner range of supplements when combined with a special eating plan, after only 14 days, will make you feel like a new energised * superwoman or superman*! *Disclaimer*: I am prone to get a little carried away with my enthusiasm for the detox program I run – but, my clients do get outstanding results – check out the testimonials! We offer five practitioner-only range Detoxification Programs from Metagenics – The Express Detox Program, the Integrated Detox Program and three other specialized variations of these. I would recommend, which program would be suited for you depending on your medical case history, certain testing and answers to a detox questionnaire and tailor your detoxification program to your individual health needs. Throughout the program I will prescribe nutritional and herbal formulas with dietary and lifestyle guidelines to support and enhance the detoxification process. Your individual product prescription and the duration of the treatment will vary depending on which program is appropriate, however dietary and lifestyle guidelines remain consistent for all the detox programs. Express Detox Program: I would recommend this for individuals who are simply aiming to optimize their current state of good health and do not suffer from digestive or chronic health concerns. This short two week detox may be suitable for those who are essentially well but may have recently over-indulged. It is ideal as a regular ‘spring clean’. Integrated Detox Program: A four week program suitable to improving digestive health, liver function, and overall health and wellbeing. This program is appropriate for those with general digestive health imbalance and may aid supporting healthy intestinal bacterial health. Specialized Gut Detox: An extended six week detoxification program ideal for those who suffer from chronic or extensive digestive symptoms, or experience digestive conditions and imbalances in gut flora that negatively impact health and wellbeing. Specialized Liver Detox: An extended six week detoxification program for those with a high level of chemical exposure who require additional liver support to improve health. Specialized Chelation Detox: An extended six week detoxification program to support those exposed to heavy metals, such as lead, arsenic, mercury, and cadmium. This program enhances the removal of heavy metals. Depending on your health challenges and goals I will put together a combination of supplements as well as provide you with daily guidance over two weeks and suitable recipes to ensure you get the best possible results. You are likely to be amazed at the results from this program – I have clients who have had outstanding outcomes – more energy, and feeling fitter and trimmer.